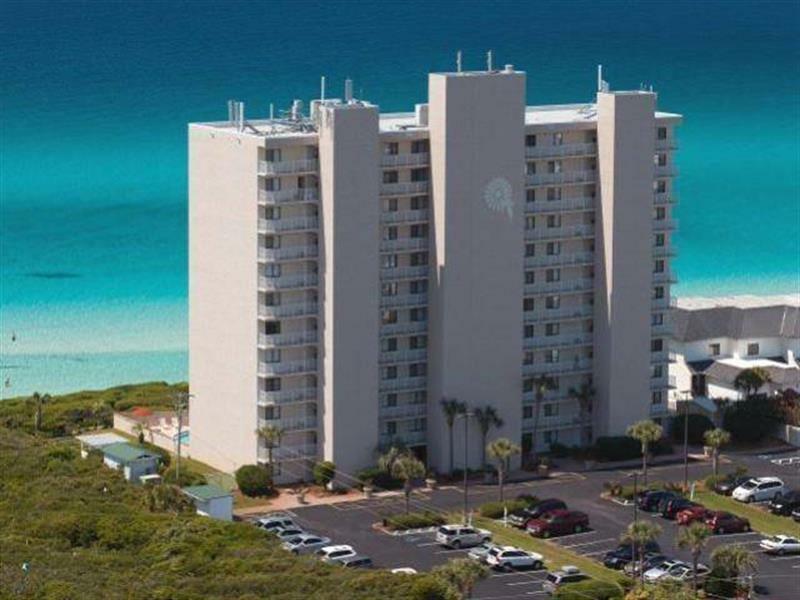 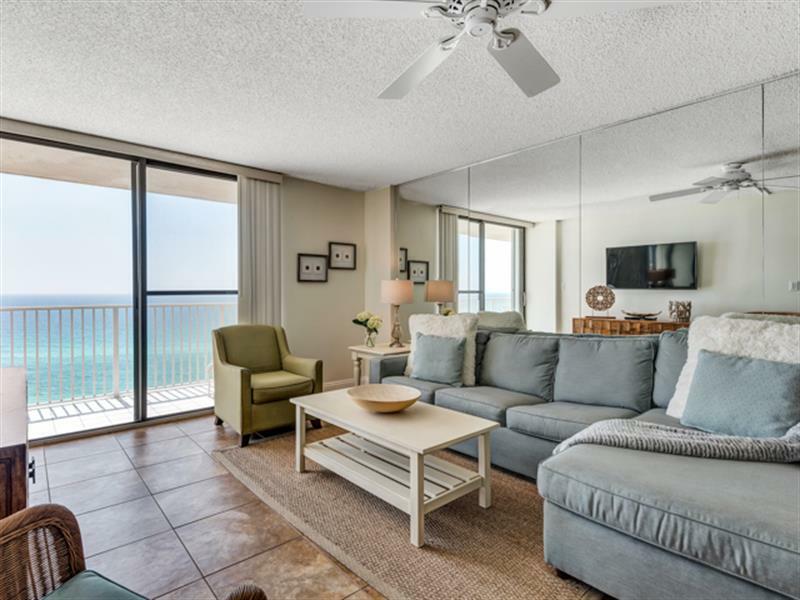 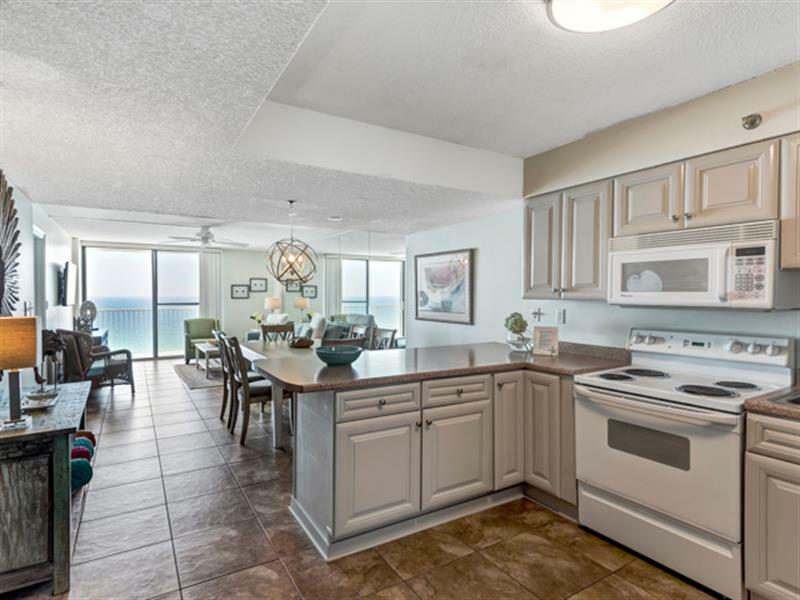 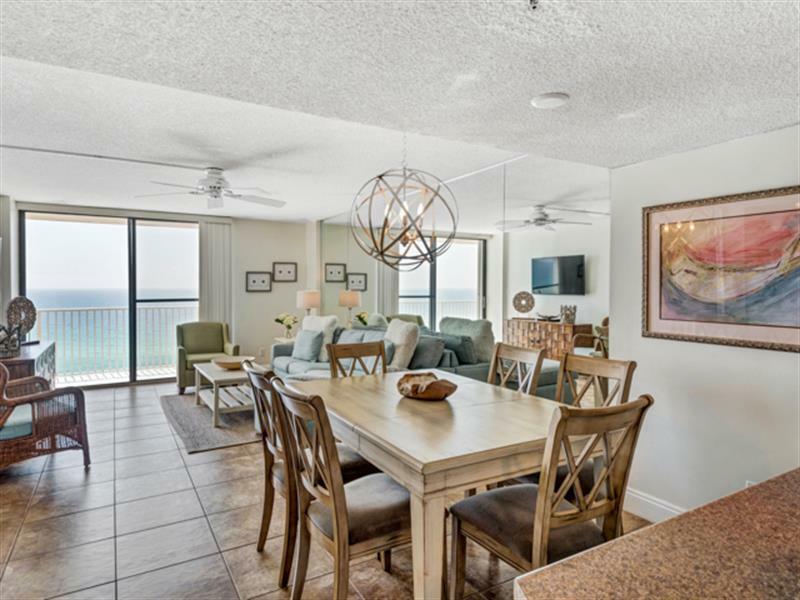 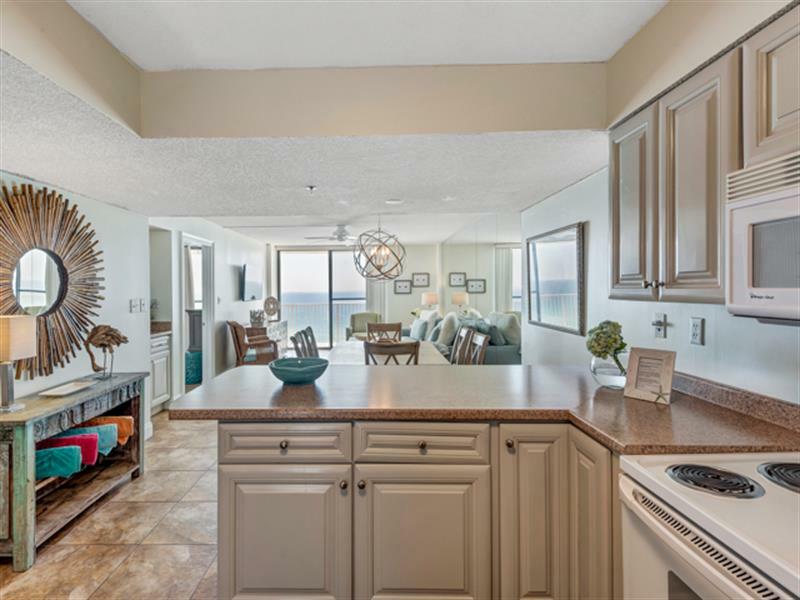 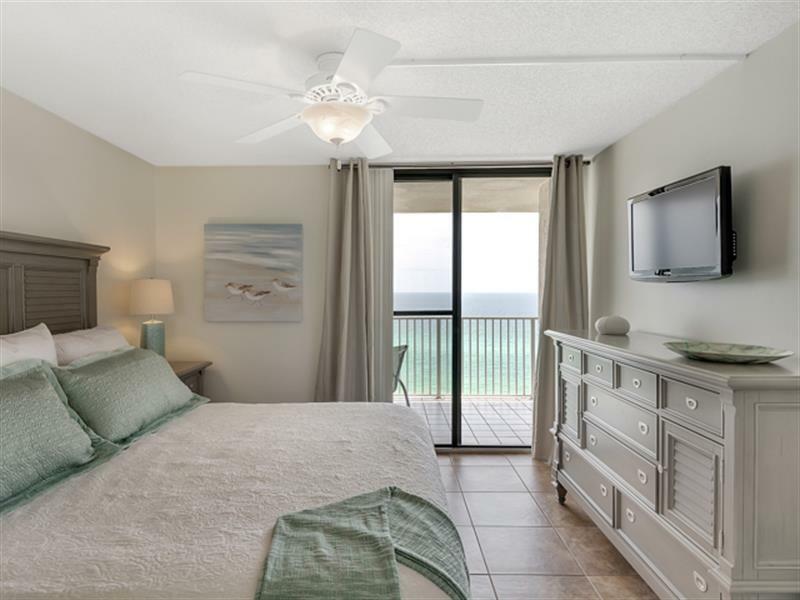 Enjoy fantastic views of the entire beach line, emerald green water, as well as breath taking sunrises and sunsets, from your own 10th floor private balcony. 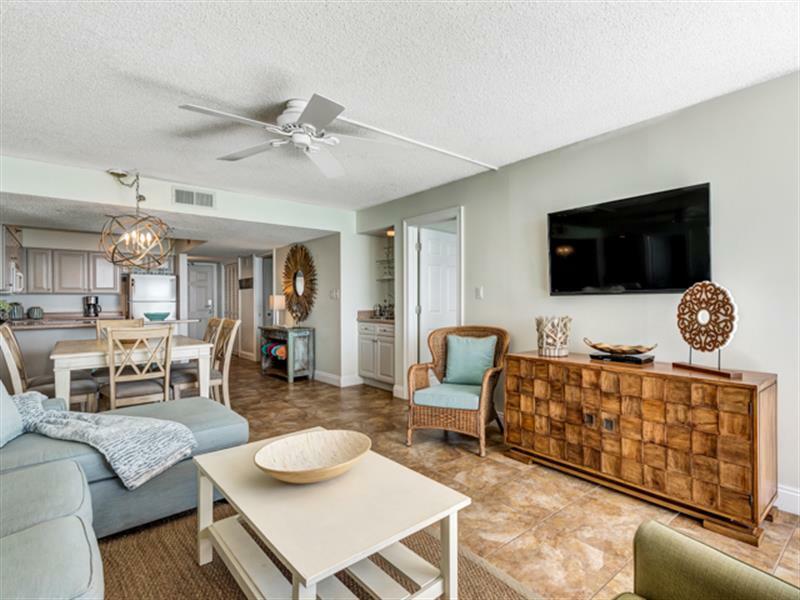 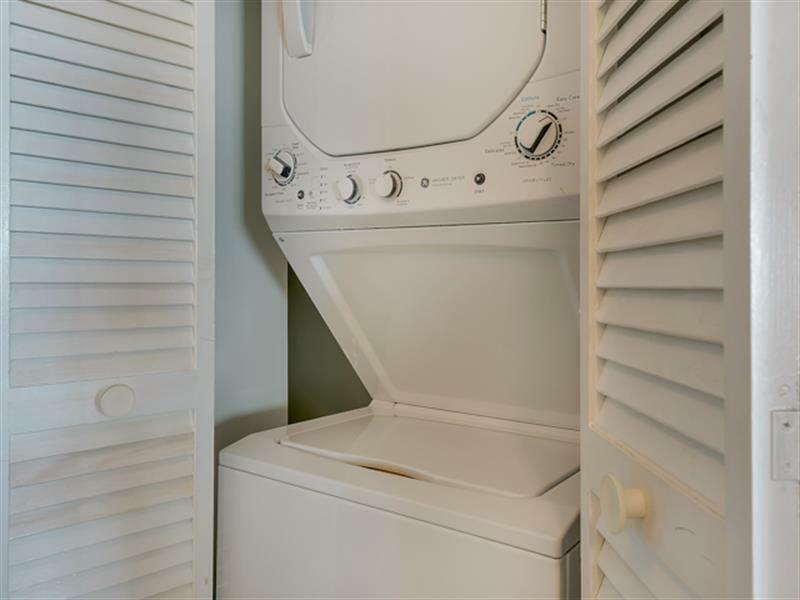 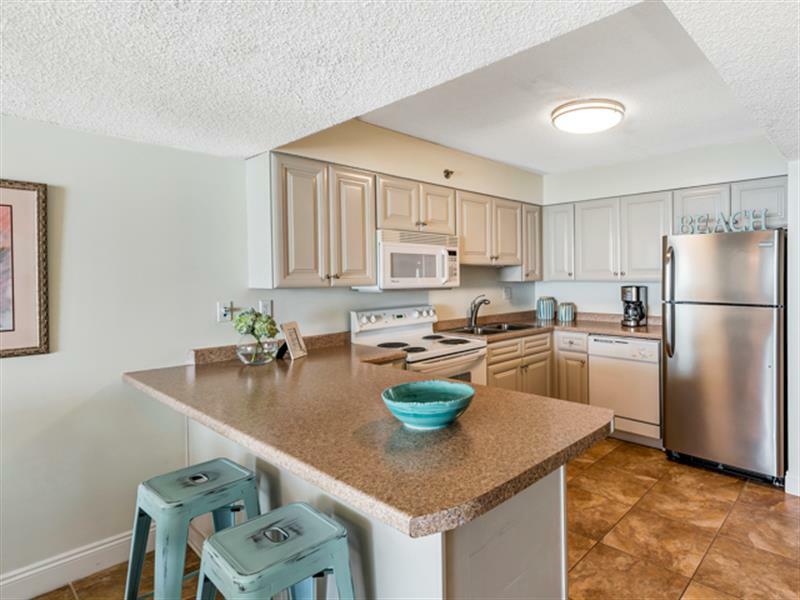 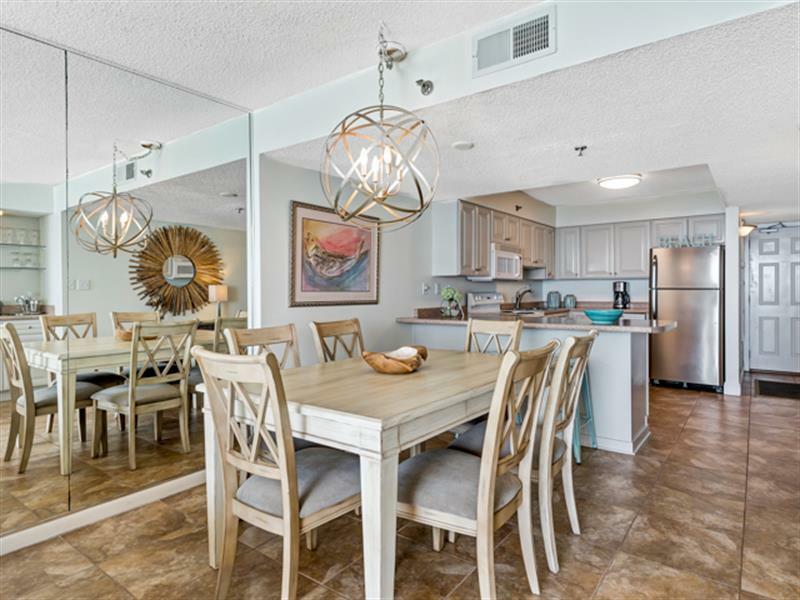 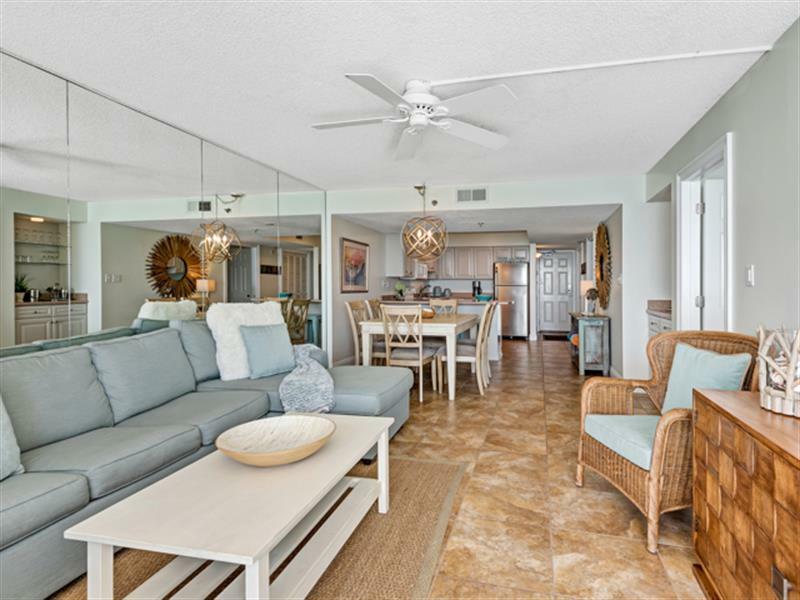 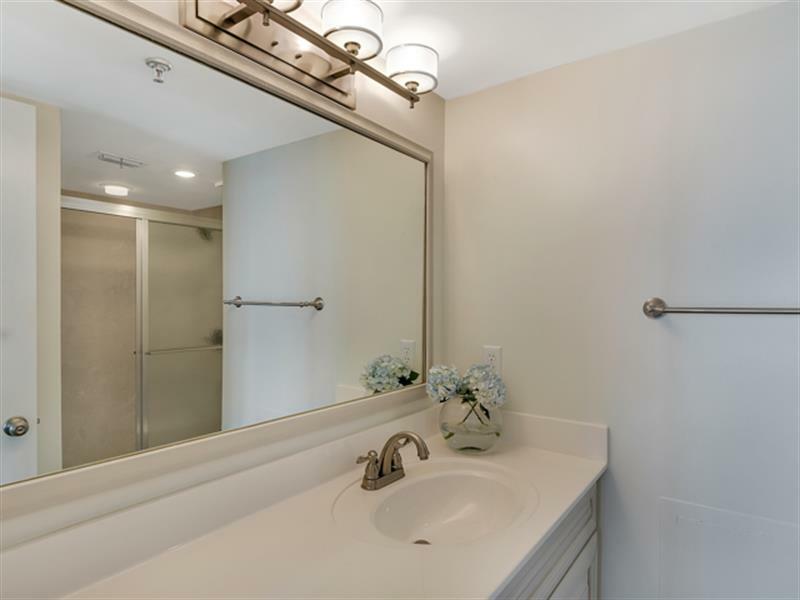 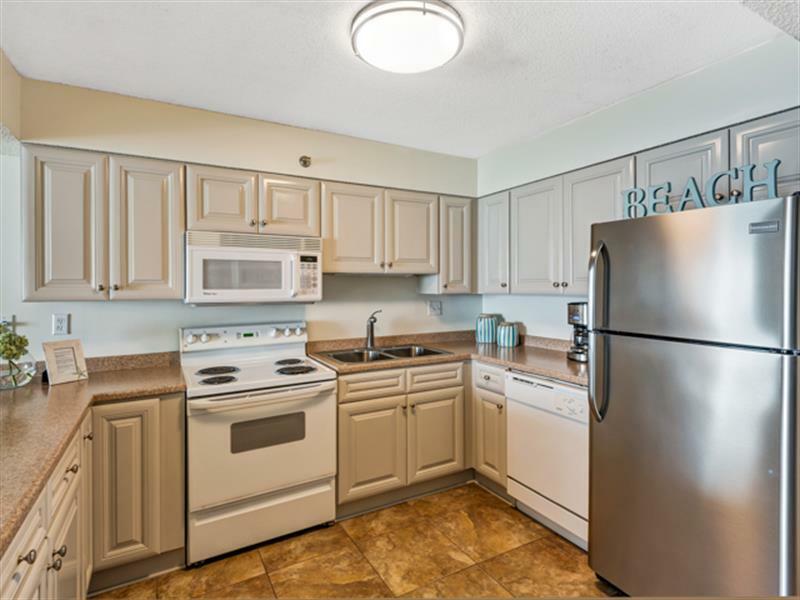 This 2 bedroom, 2 bath condo sleeps 6 with a queen sleeper sofa and has many updates including cabinets, countertops, remodeled bathrooms, and new tile flooring throughout. 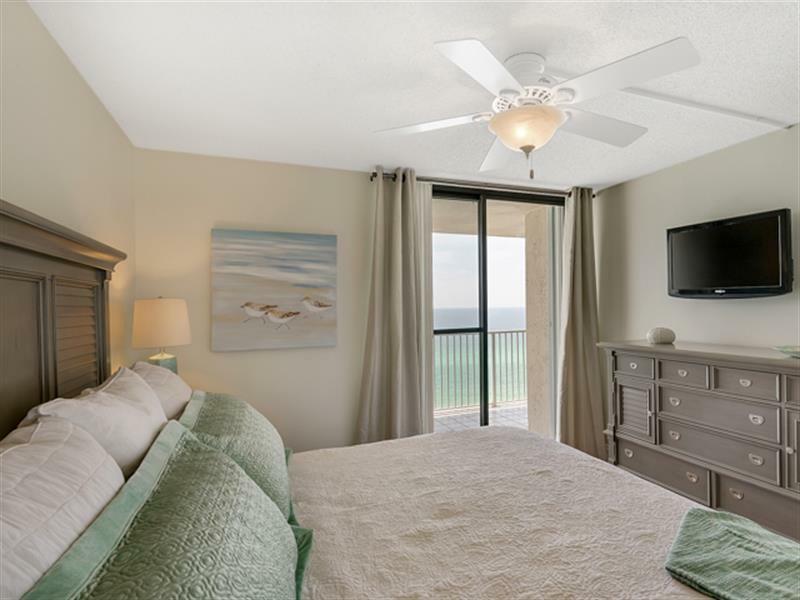 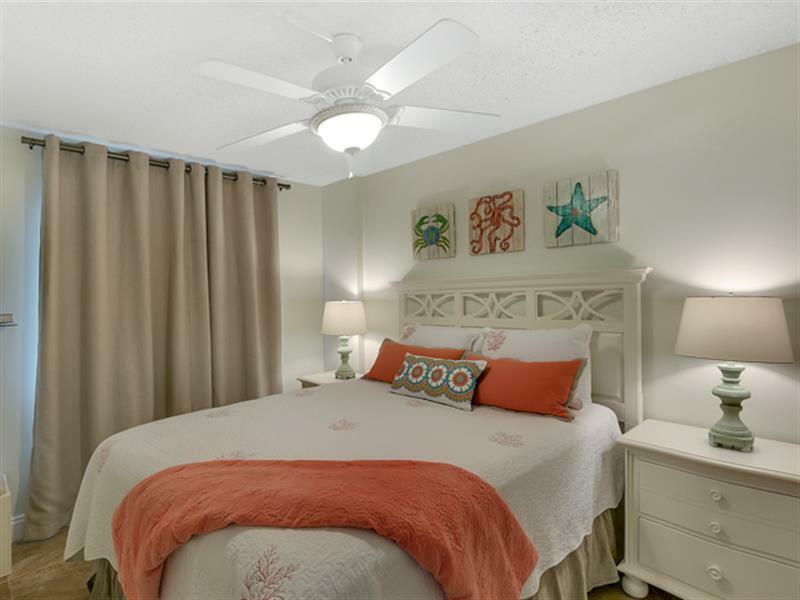 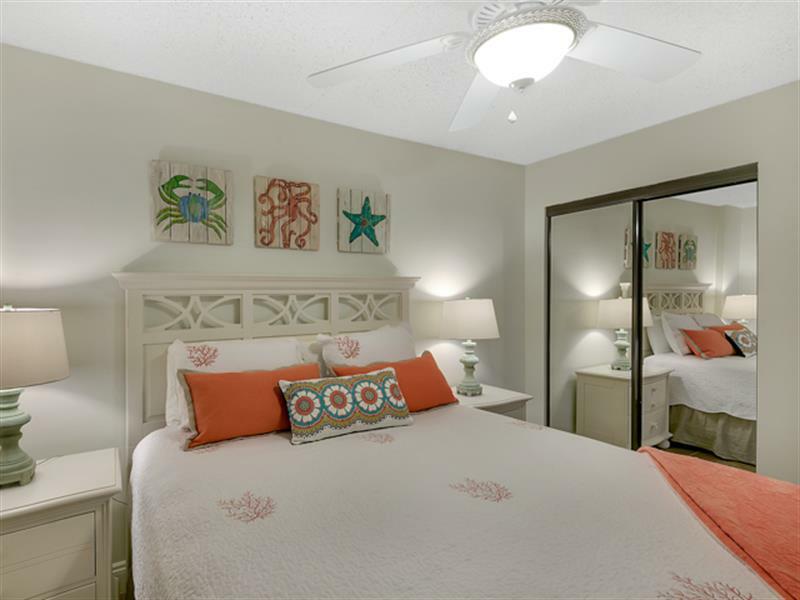 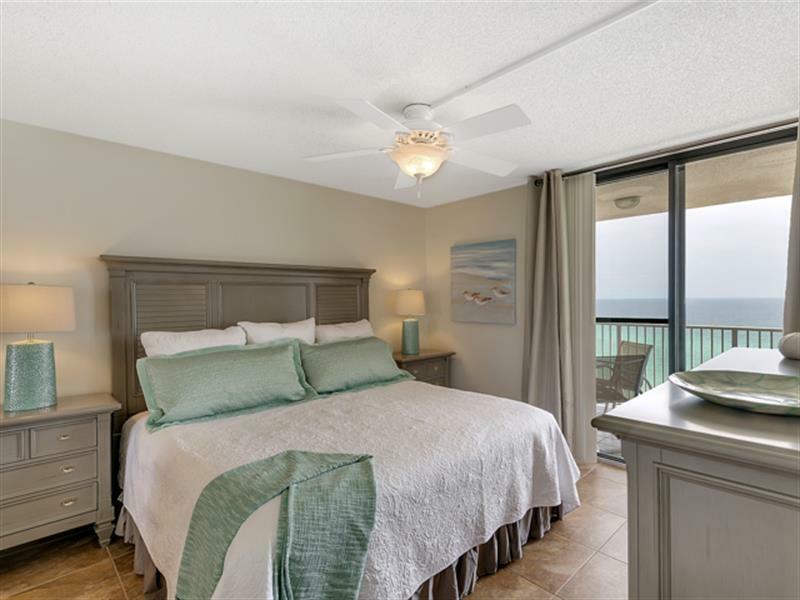 The gulf-front king master bedroom with master bath features a marble walk-in shower. 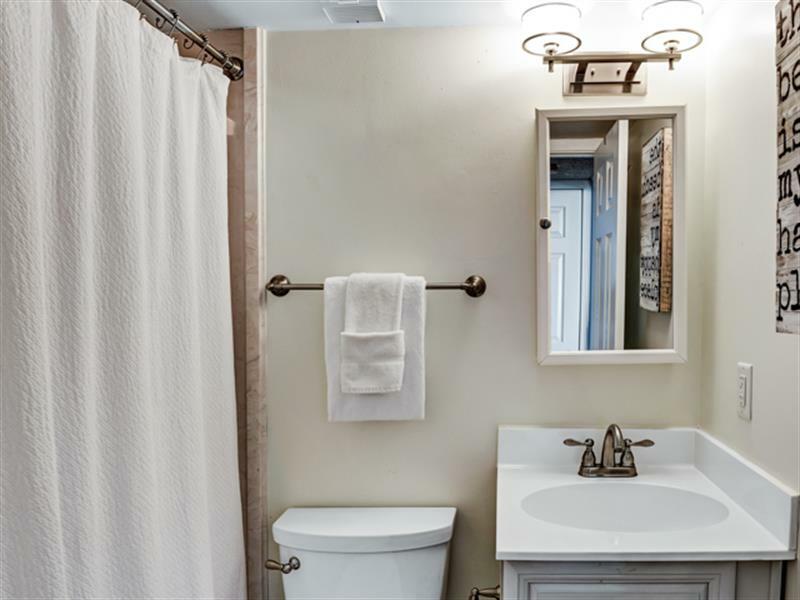 A custom pocket door creates privacy for the queen guest bedroom and bath. 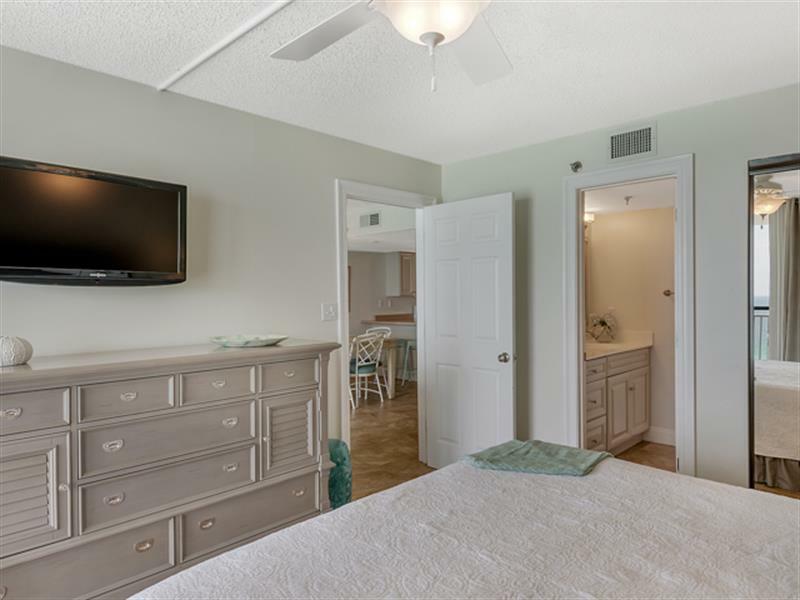 All three flat panel TVs have cable connections and DVD players. 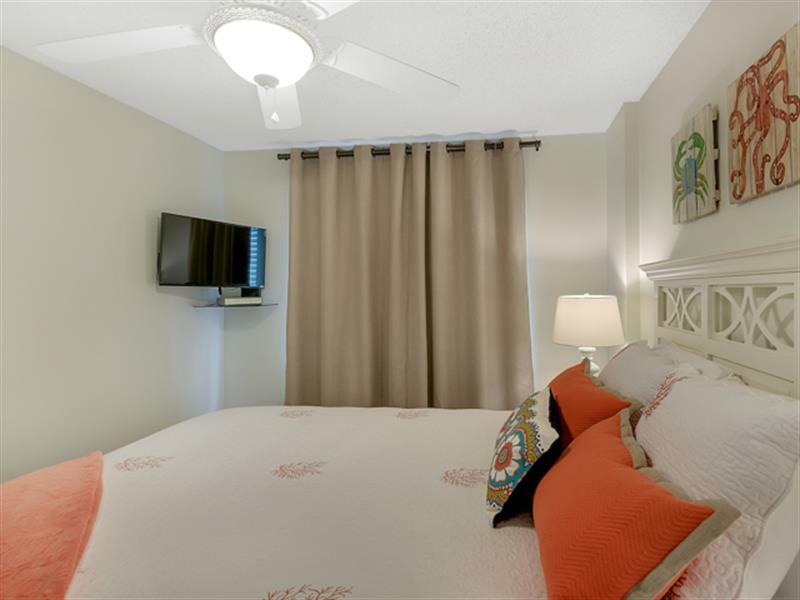 The living room DVD includes a Smart Blu-ray wireless player with built-in LAN.